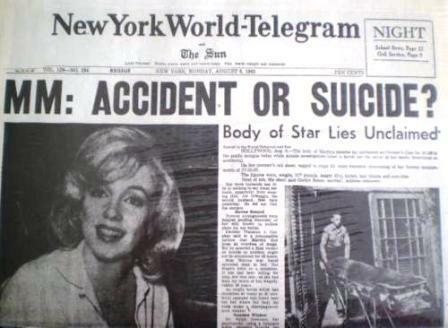 Norman Mailer’s biography of Marilyn Monroe was one of the first to suggest that foul play was a factor in Monroe’s death. In the 1960s, a self-published biography by Frank A. Capell made claims that Monroe was murdered as part of a communist conspiracy, but it wasn’t until Mailer’s account was published in 1973 that the conspiracy theories really took hold. Following Mailer’s accusations against RFK, biographer Robert F. Slatzer in 1975 further argued that Monroe was killed by the attorney general because she threatened to go public with government secrets Kennedy had confided in her. Also in 1975, journalist Anthony Scaduto published an article alleging Monroe was ordered to be killed by the Kennedy brothers, and that she kept a “red diary” where she supposedly stored secret government information the Kennedys had confided in her.